The porticoes are indeed one of Turin's distinctive architectural and social traits. 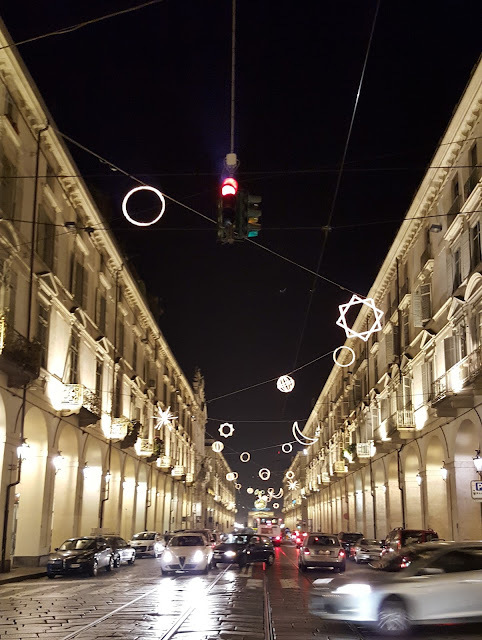 Turin counts over 18km or 7ml of porticoes that offer shade in the summer and shelter from the rain, the snow and sometimes, the wind in the winter. since the middle ages they have been an integral part of the city's architecture and 12 km/ 4.7ml are continuous! 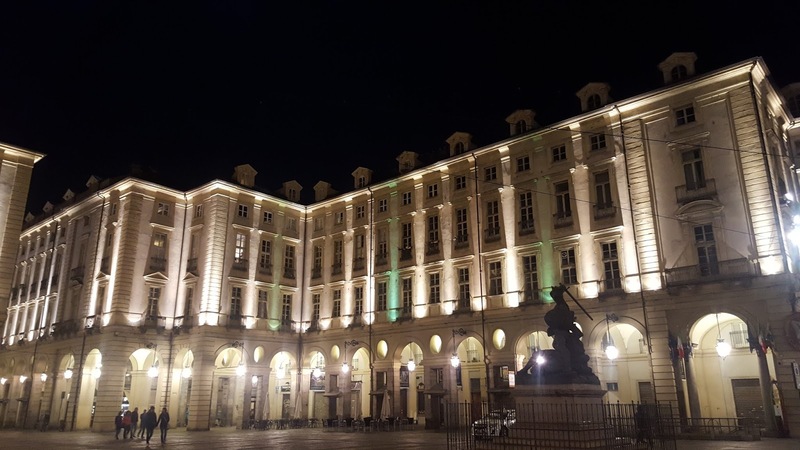 Legend has it that King Victor Emmanuel I - who wanted Turin to be as elegant and well planned as Paris - requested his royal architect a solution so that he could go on his daily stroll without carrying his umbrella. This is what our porticoes are for: to allow the king, now everybody, to do window shopping without worrying about the weather. Between Via Garibaldi and the Porta Palazzo market you can see the very first porticoes built in the middle ages. 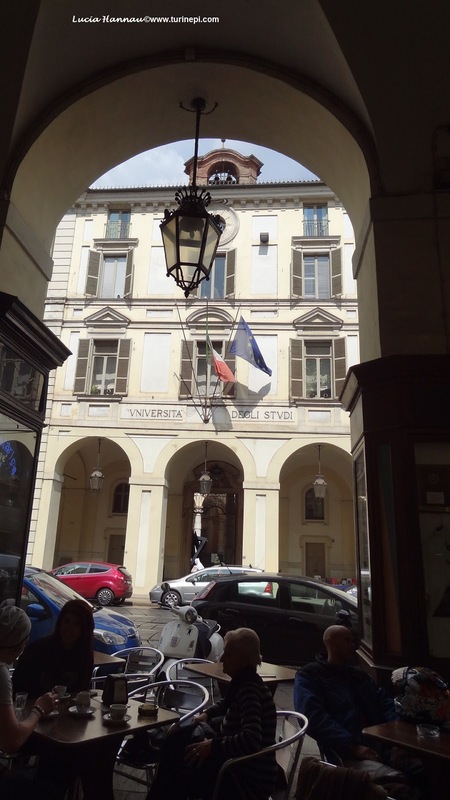 Then came the Piazza Castello porticoes in the 17th century, and in the 18th century, the Via Po ones were built. The Piazza Vittorio, Piazza Carlo Felice (in front of the Porta Nuova station) and the Piazza Statuto porticoes were added in the 19th century. 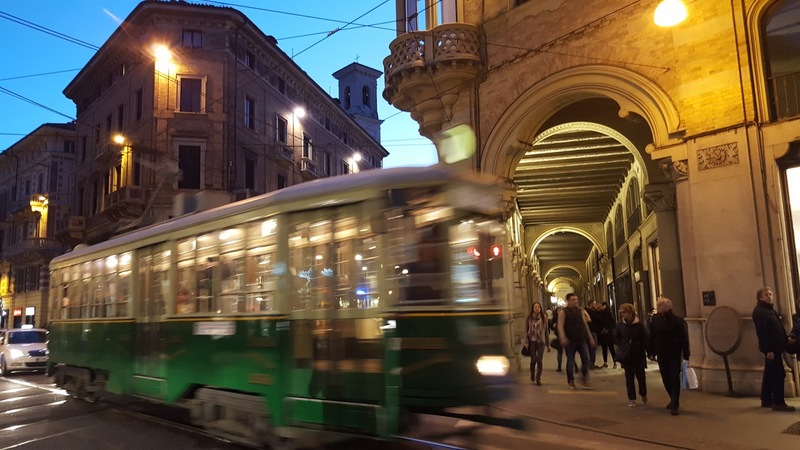 Like in the past centuries, today you can still cross Turin, station to station, always walking under the elegant porticoes and stylish piazzas. and you can enjoy some people watching while sipping your bicerin, conveniently sitting down at one of the many cafés whose tables are under the porticoes. 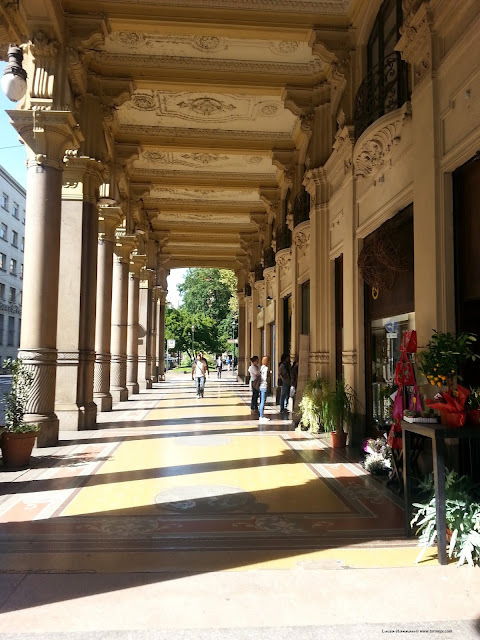 The Turin porticoes make of Turin the best city to walk and to socialize; as they are so large, many events take place there. In fact, unlike other Italian cities famous for their porticoes, the Turin ones are very extended and can reach 2 and sometimes 3 floors, making them the real architectural signature of our city. Today, no matter what the weather is like, the porticoes always offer a unique experience and many light effects that change over the day. When you come over, devote a whole day to follow the porticoes and get to know Turin's most intimate side. Feel like a royal seize the special moments you'll see with your camera. Even in the same place, your view will change each hour. 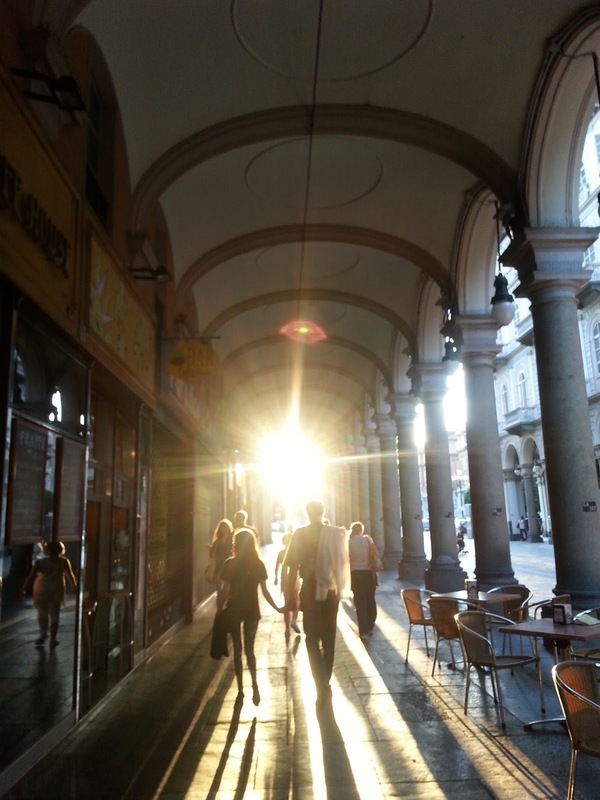 Turin: love at first taste!